Are you thinking of letting some of your employees work from home? Considering bringing on a remote, independent contractor? Or maybe your small business is virtual. These are common challenges most businesses face today and, in an era where many employees are demanding more independence, flexibility and mobility it’s an issue that also needs to be addressed. In a recent Facebook Live discussion, I spoke with Mark Maxwell, Ooma Office‘s Director of Product Management for small business and he shared some things we all need to know about letting your employees work remotely. 1 – Your company needs to embrace remote working. That may include limiting the number of days out of the office, the types of jobs that are allowed (and not allowed) for remote workers, the expectations for responding to customer and internal requests, the appearance of the worker while at home (video calls are popular nowadays!) and the condition of the remote employee’s workspace (i.e. no barking dogs or crying babies, where possible). Some companies also allow employees to work from home on a trial basis. Regardless, you’ve got to come up with an answer to this common question. 2 – It’s not about the employee, it’s about the work. Somebody who can self-motivate and can understand what their tasks at hand are are the best candidates for remote workers, according to Maxwell. But he believes that the it’s more about the organization and the role. Some managers worry if the employee has the right personality to work from home. For Maxwell, it’s less about the person and more about the type of work that needs to be done. To successfully implement a remote worker policy you have to be straightforward about what jobs are suitable. 3 – The biggest objective is professionalism and perception. For anyone to work from home, it’s critical that professionalism and perception remain the largest objectives. Maxwell believes that, regardless of whether a remote employee is in shorts and flip-flops, he or she approaches the job with a level of professionalism towards the outside world. “That you’ve got an organization and a structure that not only supports the business, but also supports your potential customers, clients, etc.” he says. No one – internally or externally – should have any indication that the person they’re speaking or working with is actually doing that work from a remote location. That’s the power of remote working when implemented the right way: with the right policies and technology, a small business can harness both full and part-time workers from just about anywhere and look like they’re a large company. 4 – Remote workers require the right technology. Supporting remote workers would have been near impossible just a short time ago. But today’s cloud based technologies have not only eased enterprise communications and collaboration but have also allowed these workers to do their jobs as if they’re in the office while at the same time providing a professional appearance to the outside world. You don’t even have to make a significant investment in hardware. 5 – The right technology requires a great partner. It’s not about hardware and software. It’s about service. 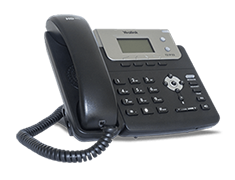 Today’s best of breed technology solutions for remote workers is delivered as a service. “The service is everything,” says Maxwell. 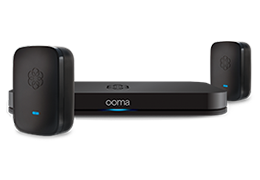 “Phones and other devices are just nodes, but what Ooma prides itself on is being a trusted partner and being a service provider.” Ooma’s mission is to connect people – whether it’s voice or other forms of communication – and not to sell hardware and software. Your goal should be to work with technology providers that have this same business model. Remote employees are a reality today and every company must address their remote worker policies for those employees that quality. More importantly, experienced companies have found that the right technology is essential for ensuring that these workers continue to perform their jobs productively without any external party knowing where the work is being done!